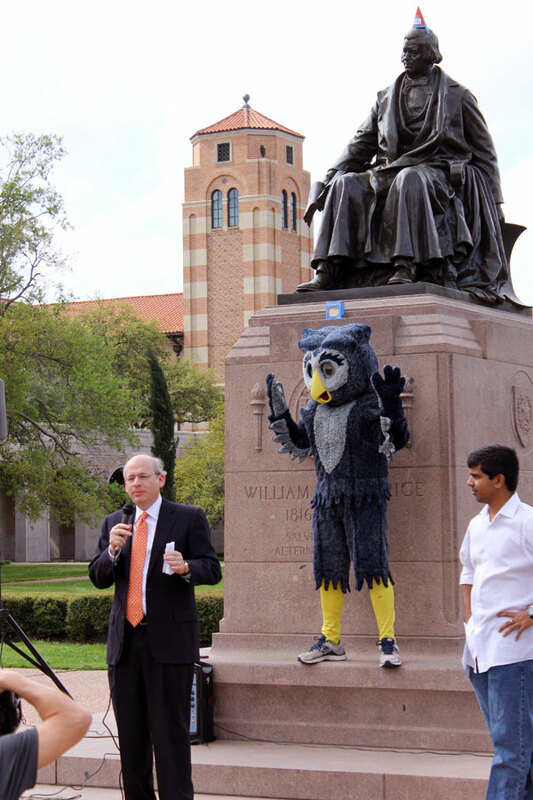 Rice University President David Leebron and Sammy the Owl honor William Rice on his birthday. 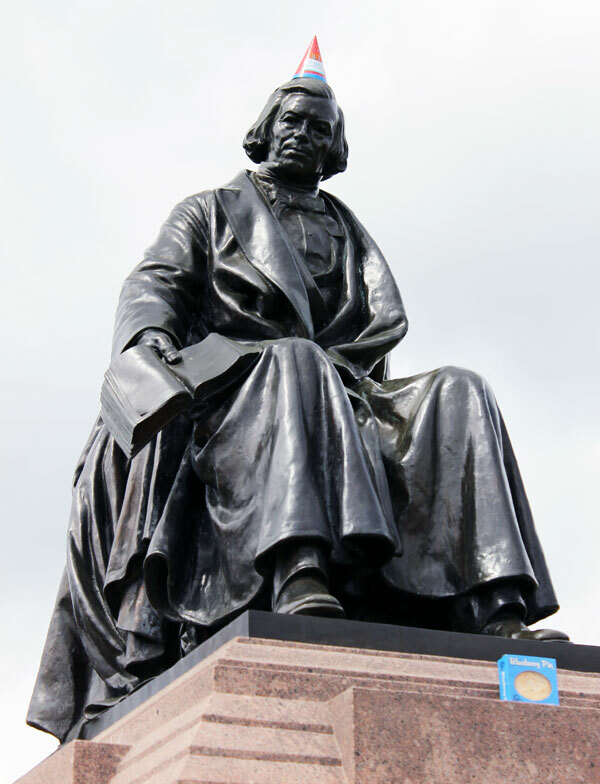 As any mathematician or fan of mathematics will tell you, today (3/14) is National Pi Day, but at Rice University it is also the birthday of our founder William Marsh Rice. 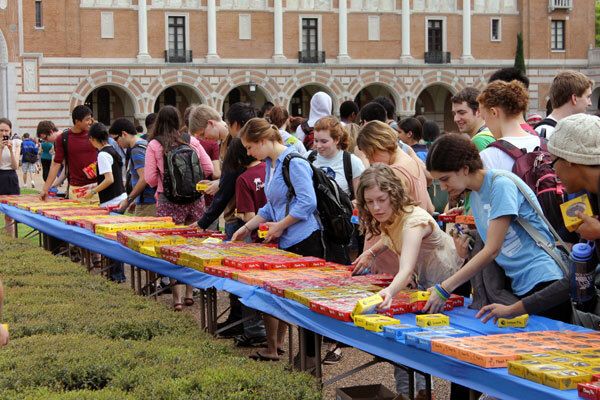 What better way to celebrate Pi Day and a birthday than with 2,012 pies? Happy Pi Day everyone and Happy Birthday, William Rice! 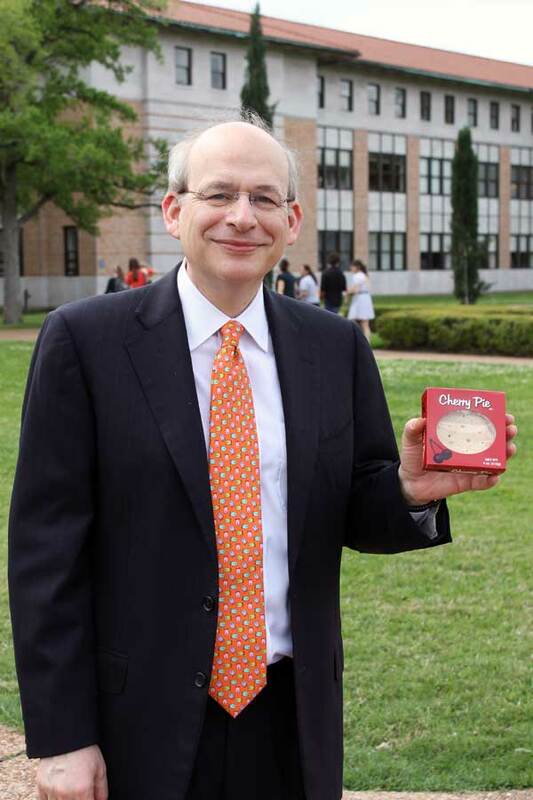 President Leebron got his pie. Students dive in for a pie. Willy got a pie, too!